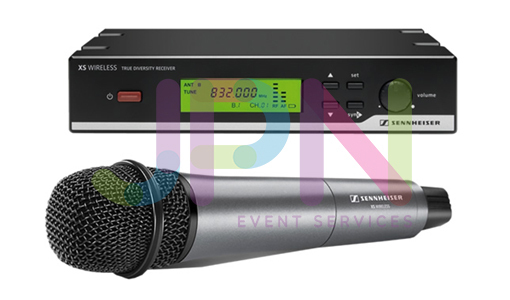 Sennheiser have consistently been producing top quality professional audio microphone packages for speakers, presenters and singers. The Sennheiser XSW 35 Handheld Wireless Microphone undoubtedly proves this. With fantastic build quaintly, capture range and clarity, and a brilliant performer in any live situation, all available at very reasonable price, from a company you can trust. Built to last, the Sennheiser XSW 35 wireless handheld dynamic mic system puts you at the front of every stage offering the legendary e 835 sound to cut through high on-stage levels and ensure maximum feedback rejection. You have freely tunable frequencies within a switching bandwidth of 24MHz (13 MHz for the E frequency range). This allows you to make up to 12 wireless links to be operated simultaneously and trouble-free.